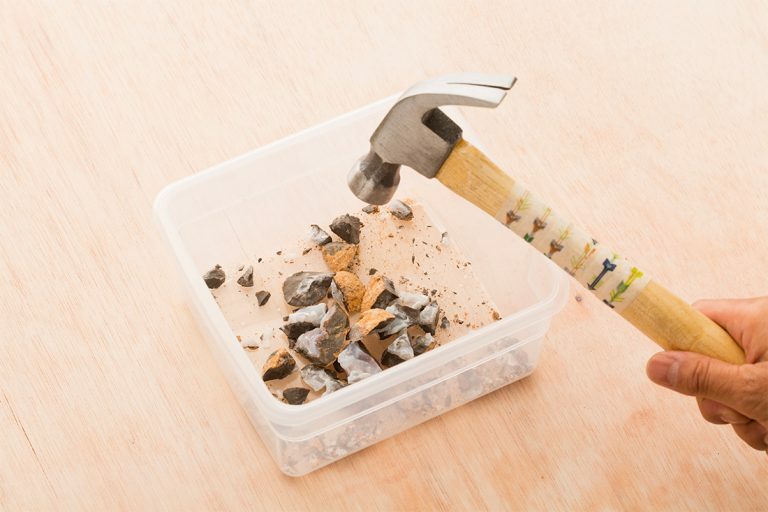 Safely break open your geode and separate it into small pieces with a hammer. Make sure you protect yourself from flying pieces. Layer the geode pieces at the bottom of the jar with the crystals facing outward. Next, add the rocks and soil. 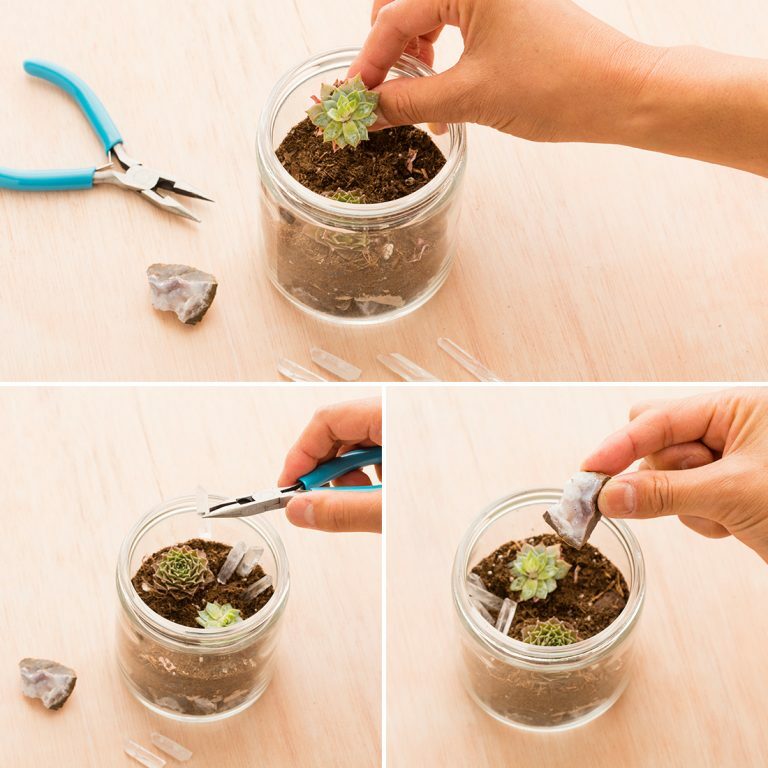 Plant your succulents into the soil, using your finger to dig a little hole in the soil. 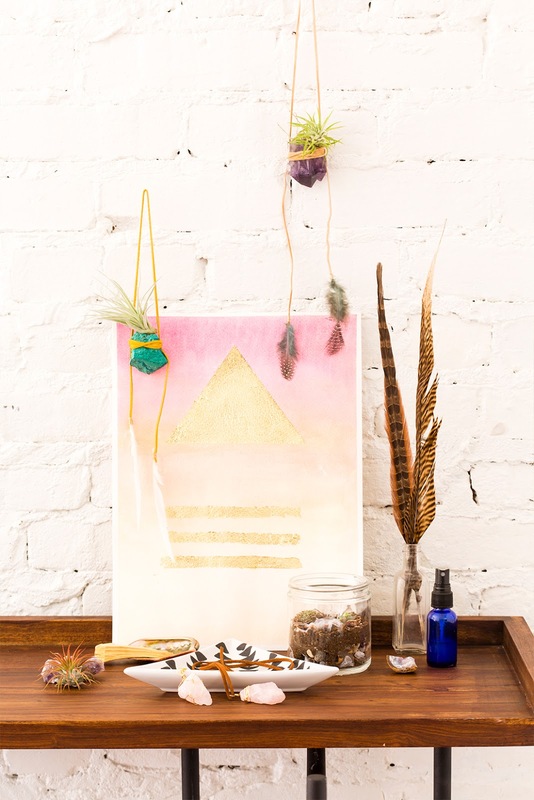 Arrange your crystals around the succulents to your liking and you’re done! 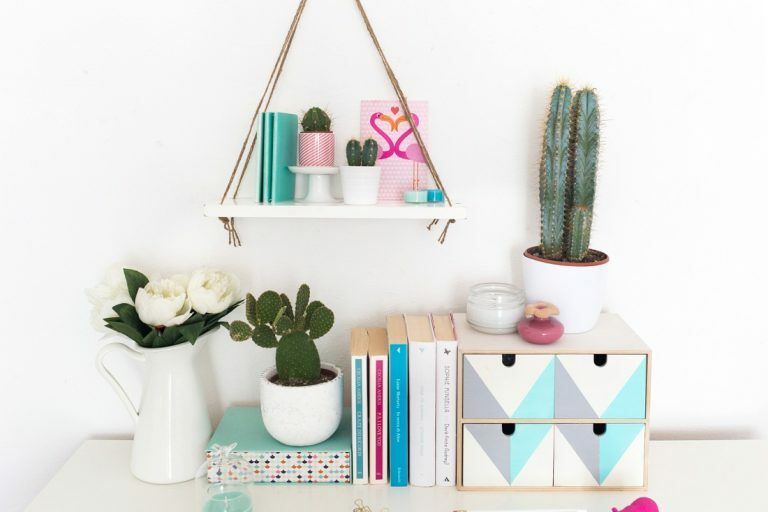 Safely smash your geode open and break up into smaller pieces. 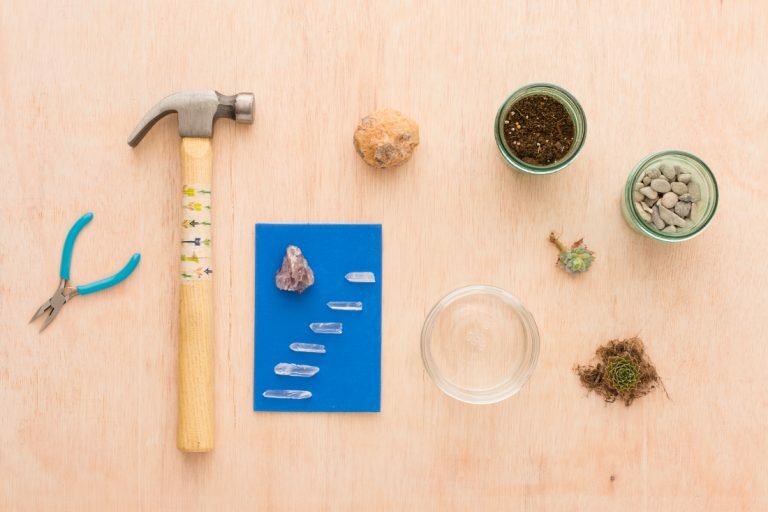 I first broke up the geode in a paper bag to prevent the smaller pieces from flying around. And then, I used this small box to break the pieces down even more. 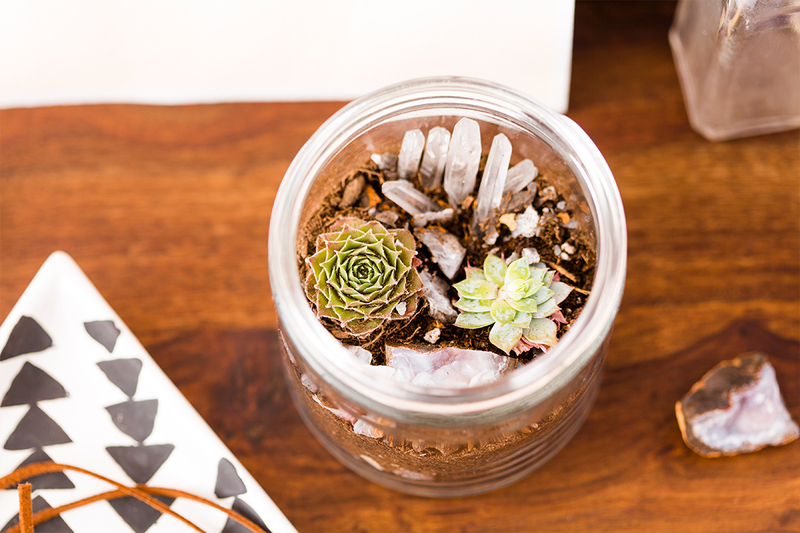 Carefully place the succulents and crystals into your jar. And you’re done! 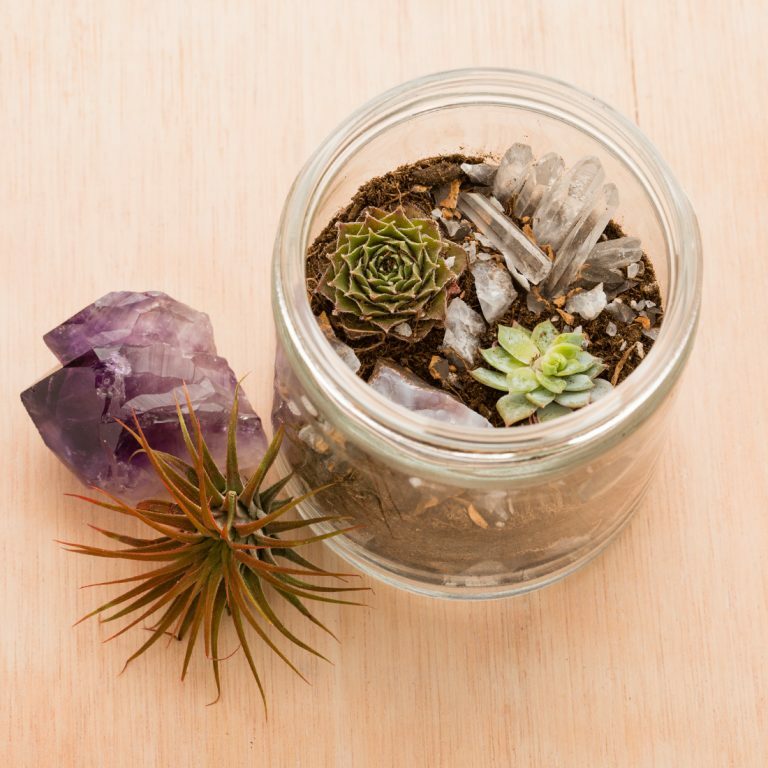 This little crystal terrarium will definitely bring some positive vibes your way.